According to Colliers International, the demand for new apartment units in the Jacksonville area is expected to significantly exceed supply growth through mid-2017. Most construction activity is expected to take place in the urban core and the Southside. Here's a look at 6 major multifamily developments already under way in the Southside and vicinity of Town Center. Rendering courtesy of Killashee Investments LLC. 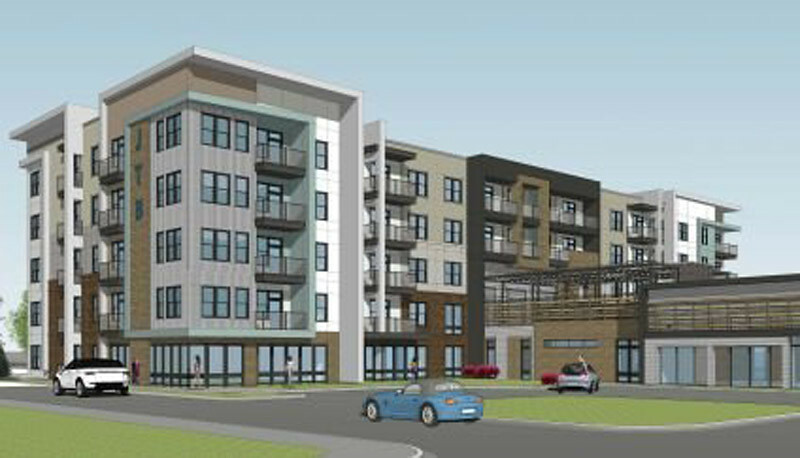 The JTB apartments will be a 350-unit apartment complex near the Deerwood Office Park along A.C. Skinner Parkway. A development of Killashee Investments LLC, construction is anticipated to begin by the end of this year. The $50 million JTB apartments will include 4 5-story buildings and 7 2-story buildings. The community will be gated with an amenity and recreation center. Each unit will include 9-to-10 foot ceilings, large European-style cabinets, and keyless door entries. Anticipated to be completed in mid-2018, the JTB apartments will be located at 8680 A.C. Skinner Parkway. The Jaxson is produced by Modern Cities in association with WJCT.